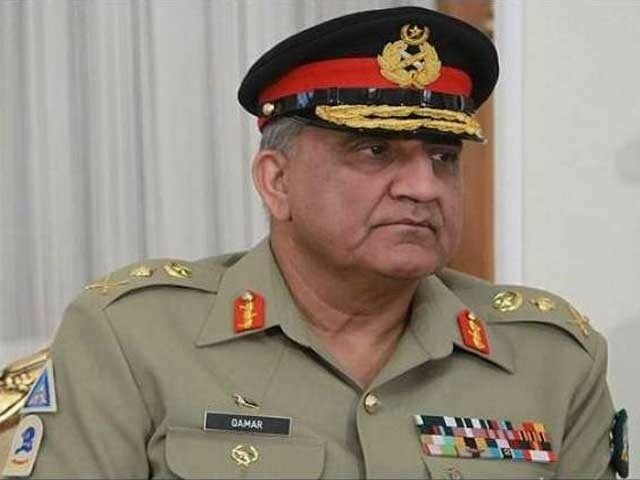 Rawalpindi: Army Chief General Qamar Javaid Bajwa has confirmed the execution of 13 terrorists. Army Chief General Qamar Javed Bajwa confirmed the execution of 13 terrorists involved in the killing of 202 people, while 7 other terrorists were also sentenced as per Pak Army's Public Relations (ISPR). Is. The cases were initiated in the Military Court against these terrorists and they confessed in front of the court. Among those who died were Munir Ahmed, Mohammad Bashir, Hafiz Abdullah, Bakhtullah Khan, Shah Khan, Muhammad Sohail Khan, Dawood Shah, Mohammad Munir, Habibullah, Mohammad Asif, Gul Shah, Jalal Hussain and Ali Sher. According to ISPR, all of these terrorists were involved in the killing of armed forces, attacks on law enforcement, destruction of educational institutions and civilian deaths, and killing 202 people, when it was said. The explosives have also been recovered from the occupation of terrorists. According to ISPR, the terrorists involved in the attack on the National Lashkar-e-Jirga in Munir Ahmed Orakzai Agency, 114 civilians were martyred, and the terrorist was involved in the attack on Munir Ahmad armed forces, and in his attack, 6 soldiers martyred and 9 were injured, terrorists, Mohammad Bashir, were involved in attacks on Senator Atalah Rehman's house and Rashid Akbar Nani's house in Khan Khan, 21 civilians were martyred and 59 injured. According to ISPR, terrorists Abdul Hafiz is also involved in the attack on the organization of terrorist organizations and law enforcement agencies, including Lieutenants Colonel Anwar Abbasi, and three others were injured in the attack of terrorist Hafiz Abdullah. Terrorist Bakhtullah Khan is also involved in a member of the banned organization and terrorist attacks, in which 3 rituals and 14 soldiers were martyred and 39 wounded. Terrorist Shah Khan is a member of the banned organization and the attack on law enforcement agencies, in which 2 rivals and 7 soldiers were killed when 86 were injured. Terrorist Mohammad Sohail is involved in a suicide attack on Kohat tunnel, 5 civilians were martyred and 15 were injured. Terrorist Dawood Shah is involved in attacks on the army and civilians and in his attacks, 2 rivalry and 3 soldiers were martyred when four were injured. Terrorist Mohammad Munir is involved in attacks on law enforcement agencies, resulting in 2 police constables and 2 other martyrs when 12 were injured. Terrorist Habibullah is also involved in the attack on the unorganized organization and the attack on soldiers, a soldier martyred and three others wounded, while the terrorists had destroyed schools in Swat. Terrorist Mohammad Asif is involved in the killing of 2 citizens and police head constable Shahin Islam. Terrorist Gul Shah is involved in law enforcement agencies, killing 5 soldiers in the attack. Terrorist Jalal Hussein is a member of the banned organization and involved in the attack on law enforcement agencies, in which 2 soldiers were martyred. Terrorist Ali Sher is a member of the banned organization and the killing of a soldier and destroying schools in Swat.